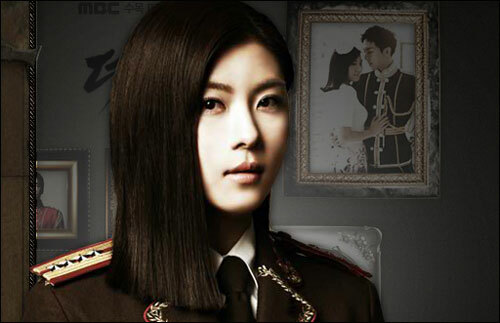 The North Korean accent of Ha Ji Won in MBC drama The King 2 Hearts (TK2H) has become discussion topic for days. The cold North Korean dialect spoken from her mouth is too realistic, surprising the audience. In order to play the role of Kim Hang Ah, Ha Ji Won learned North Korean language from North Korea defector Baek Gyeong Yun (pseudonym) for some time. And Baek Gyeong Yun is a famous North Korean language teacher among relevant persons in Chungmuro. Beginning from the movie Welcome to Dongmakgol, until the current The King 2 Hearts, she also became the North Korean language teacher for actors of movie Berlin, Spy and other projects. She also said: “Not just in front of the screen, when there’s only two of us, we also cry and laugh together with laughter. She did a lot of homework on North Korea, also share a lot of dialogue. Really is an actress with passion, very sincere and excellent. (Ha Ji-won) is a person who will success even if she is at Pyongyang, as a person, she is really very handsome person,” showing praise on Ha Ji Won. Baek Gyeong Yun is not only becoming the guidance for actors in North Korean language, she is active as the accordion performer, and served as a university professor.